TORONTO -- Ontario's Liberal government, which is headed for a spring election, is pledging to spend more than $300 million over three years to improve supports for children with special needs. 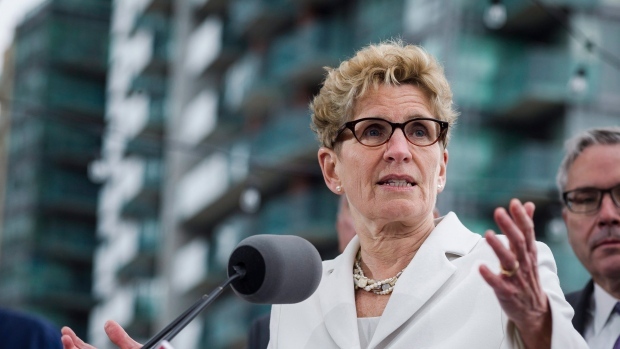 Premier Kathleen Wynne and Education Minister Indira Naidoo-Harris say the money will go towards eliminating the wait list to have children with special needs assessed, and hiring new teachers and education workers. They say the additional staff will include educational assistants for students with exceptionally high needs and specialists such as social workers and speech pathologists. The province is also promising to spend $140 million over three years to hire guidance counsellors. The announcement comes just days before the Liberals present their final budget ahead of the June election. Wynne has made several major funding promises over the last week, vowing to expand the government's free pharmacare program to cover seniors and to spend $2.1 billion over the next four years to rebuild Ontario's mental health system, which includes funding for 180 mental health workers in schools.